It's nice to be out of the office this week. We've had some great days so far. Since work often gets in the way of my weekday running, I try to take advantage of off days to fit in extra workouts. That's been the case so far on this vacation. I've been able to run every day since Saturday. I can barely remember Sunday's run around the neighborhood, other than that it was windy and a little cold for the short sleeves and shorts I wore. Like Saturday, I had good energy and I felt I moved well. Yesterday I got out fairly early and enjoyed the quiet roads, courtesy of school vacation that kept both buses and parents off the roads. 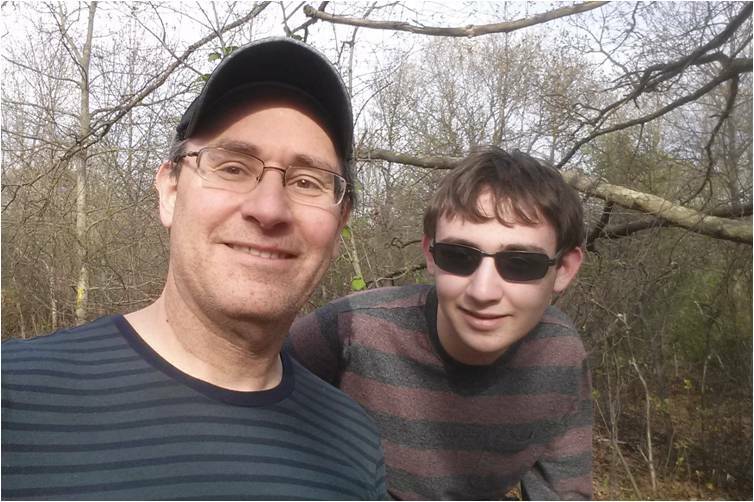 Yesterday afternoon, my son and I decided to do an impromptu hike in the woods at Bethpage. We parked in the northeast corner of the lot and entered at the trail head at the far end of the picnic area. We followed the main trail that parallels the bike trail and then cut to a path that led us to the big field. We ducked back into the woods and began to take side trails, one of which led us to the paved path where the short but very steep hill begins. We stayed on the bike trail for about three quarters of a mile before going back into the woods. We followed a winding path that eventually brought us back to where we'd started out. It was a good hike with some nice climbs and I was glad to get a second workout in on Monday. Post-run selfie, Sunday or Monday. I've lost track. We had buckets of rain this morning starting at around 4:00 AM, but conditions cleared up by about 9:00 AM. Even though the rain had stopped, I decided to save a little time and stayed inside, covering 3.3 miles on the treadmill. 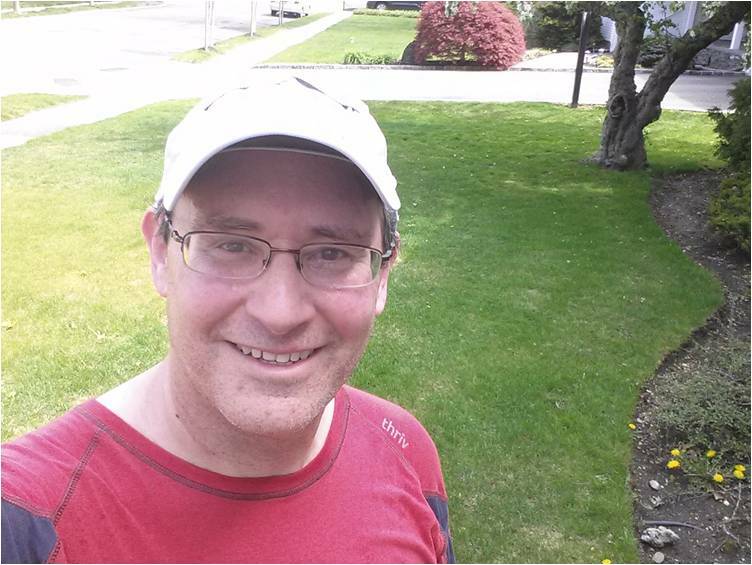 It was a good progression run and, like the three before it, I finished my last mile running a fairly fast pace (for me). I'd given my wife my Fitbit a couple of years ago because I got frustrated with it. Not that it didn't work, it was just that I'd frequently leave it on my dresser instead of transferring it to my next pair of pants. And everyone knows that a run or walk that wasn't captured by a device technically never happened. My company just did a wellness challenge and every participant got a Fitbit to track their contribution to their team. 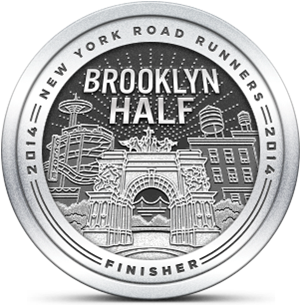 I didn't participate, but I became envious of people when they'd announce their step count. I decided to get back into the Fitbit game and ordered a new one. The building where I work is humongous and every meeting I'm in seems to be as far from my office as physically possibly. I'll be curious to see how much I actually travel during the workday. I wish I had it now so I could track my progress during this vacation week. Did your best friend let you into the park illegally again? Looks like you and ERjr had a nice adventure. Mostly because it was free, I'm guessing. Slade gets a step counter at school and will make me take it on long runs if I'm at marathon peak training. Kids will have 5,000 steps and he'll show up with 50,000. Gee Sybil, maybe we got in for free because one of your personalities told me there's no entrance fee on weekdays. Great parenting technique with Slade. After you run all his steps you can finish his homework. I got 7,000 steps on this morning's run today. It only felt like 6,891. I'll have you know that my chemistry teacher became a meth dealer after he was diagnosed with lung cancer. He got involved with some bad people and went on a rampage seeking revenge. I forget what happened after that. I think he got better and lived happily after after.